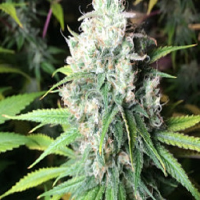 CandyLand Feminized Cannabis Seeds by Garden of Green Seeds: Another delicious Sativa Dominant beauty, it's no suprise this deep purple lady has impressed us with her seductive sweet juicy aromas. Ken Estes is really a master at work and Candyland has attrcted the attention Ken so rightly deserve. 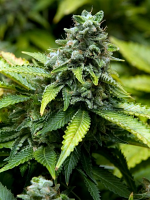 29% THC have been reported from overwhelmed medicinal users and overjoyed regular tokers. Granddaddy Purps and Platinum Cookies are the award-winning ground-breaking genetics behind this super hybrid creation. She grows brilliantly indoors and out, very content in both environments and delivering one of the highest grades of medical cannabis found in the state of California today. Evokes feelings of worm cosy sensations as well as energy to burn with the drive to get thing done. Medical Benefits: Relieves Stress, Insomnia, Depression, Fatigue, Cancer, Headaches, Muscle spasm, Migraines, ADD/ADHD.